A diet rich in fruit and vegetables has previously been associated with a lower risk of certain cancers and cardiovascular conditions. An Inserm team (Health across generations, Center of Research in Epidemiology and Population Health, Villejuif, France) has now shown that such a diet is similarly associated with a reduced risk of type 2 diabetes. The team already suspected there might be a link on the basis of previous studies showing that certain antioxidants, such as vitamins C and E, lycopene or flavonoids, were associated with a reduction in type 2 diabetes risk. However, these studies looked only at isolated nutrients, not at the total antioxidant capacity of the diet. The researchers, therefore, wanted to verify whether overall diet, according to its antioxidant capacity, is associated with diabetes risk. Using data from the E3N cohort comprising French women recruited from 1990, then aged between 40 and 65 years, they followed 64,223 women from 1993 to 2008, all of whom were free from diabetes and cardiovascular disease at the time of inclusion in the study. Each participant completed a dietary questionnaire at the beginning of the study, including detailed information on more than 200 different food items. Using this information, together with an Italian database providing the antioxidant capacity of a large number of different foods, the Inserm researchers calculated a score for ‘total dietary antioxidant capacity’ for each participant. The group then analyzed the associations between this score and the risk of diabetes occurrence during the follow-up period. The results show that diabetes risk diminished with increased antioxidant consumption up to a level of 15 mmol/day, above which the effect reached a plateau. Increasing dietary antioxidants to this level could be achieved through eating antioxidant-rich foods such as dark chocolate, tea, walnuts, prunes, blueberries, strawberries or hazelnuts, to name just a few. Women with the highest antioxidant scores had a reduction in diabetes risk of 27% compared with those with the lowest scores. ‘This link persists after taking into account all the other principal diabetes risk factors: smoking, education level, hypertension, high cholesterol levels, family history of diabetes and, above all, BMI, the most important factor’, clarifies Francesca Romana Mancini, the first author of this study. The foods and drinks that contributed the most to a high dietary antioxidant score were fruits and vegetables, tea and red wine (consumed in moderate quantities). The authors excluded coffee from the analysis, despite its high antioxidant levels, because the antioxidants in coffee have already been shown to be associated with reduced type 2 diabetes risk, and might, therefore, mask the effects of antioxidants from other sources. 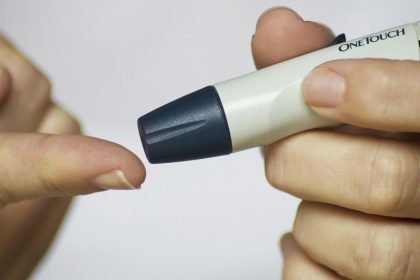 ‘This work complements our current knowledge of the effect of isolated foods and nutrients, and provides a more comprehensive view of the relationship between food and type 2 diabetes’ explains Guy Fagherazzi, the lead researcher in charge of diabetes research in the E3N study. ‘We have shown that an increased intake of antioxidants can contribute to a reduction in diabetes risk’. This now raises the question why: ‘We know that these molecules counterbalance the effect of free radicals, which are damaging to cells, but there are likely to be more specific actions in addition to this, for example, an effect on the sensitivity of cells to insulin. This will need to be confirmed in future studies’, concludes Francesca Romana Mancini.